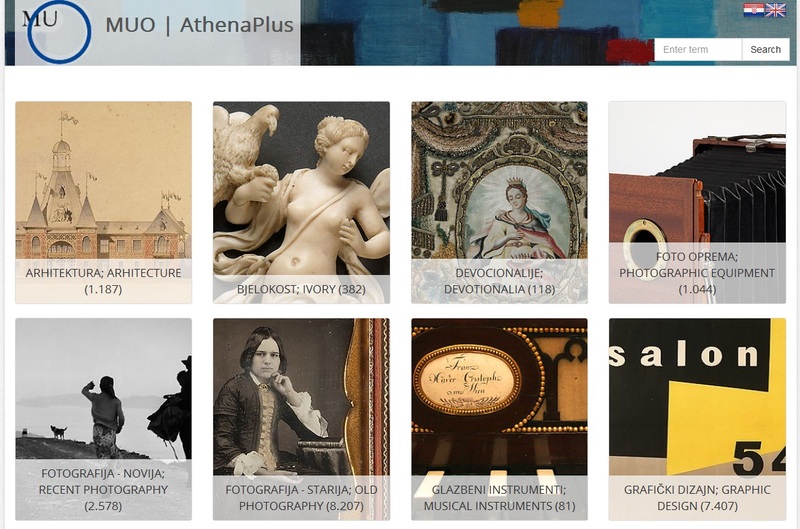 The Museum of Arts and Crafts in Zagreb, Croatia has launched an online collection platform of artworks and objects the museum is going to make available via Europeana in the frame of the AthenaPlus project. The database contains more than 41.000 entries and is structured into 21 sub-sections corresponding to the collections housed at the Museum of Arts and Crafts, such as architecture, old photography, sculpture, furniture, product design, paintings etc. Users are invited to browse the rich collection of the Museum of Arts and Crafts featuring works of art and applied art objects from the Middle Ages to modern times. Click on the link to visit MUO´s online collection platform: http://athena.muo.hr/. The Museum of Arts and Crafts, Zagreb was established in 1880, by initiative of the Arts Society and its former President Izidor Kršnjavi. The basic aim was to preserve the traditional values of national crafts and at the same time to provide new cultural standards for the rising middle‐class. To help achieve these goals in 1882 the Crafts School (today the School of Applied Arts and Design) was established alongside the Museum. The Museum and the School are situated in a representative neo–Renaissance palace designed by Austrian architect Herman Bollé in 1888.